After a quick exit at the hands of the Islanders in the first round, changes are expected in Pittsburgh. With that in mind, Rob Rossi of The Athletic reports (subscription required) that the Penguins only consider centers Sidney Crosby and Evgeni Malkin as the only untouchable players in a trade though others like winger Jake Guentzel would be extremely hard to acquire. Of course, the focus will immediately shift to winger Phil Kessel. He’s no stranger to trade speculation and there were reports earlier in the season that suggested that they had held trade discussions regarding the 31-year-old last offseason although clearly, nothing came of it. Kessel has three years remaining on his contract with a $6.8MM cap hit (Toronto is covering the other $1.2MM as part of the trade from 2015) and while he is one of the streakier wingers in the league, he’s also quite productive. He had 82 points in 82 games this season and 96 in 82 contests the year before while he hasn’t missed a game since 2009-10. For teams that are looking for a scoring upgrade on the wing, Kessel will certainly be one of the top options available. It’s worth noting that he has an eight-team no-trade clause. 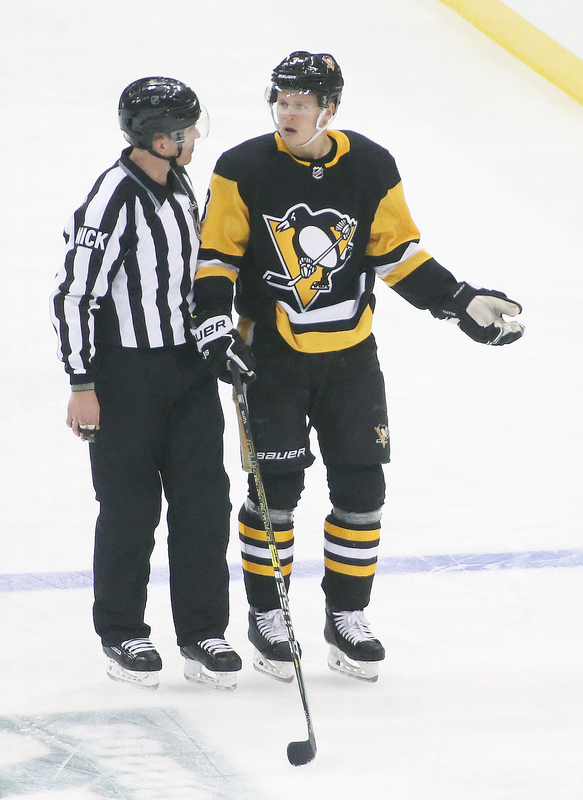 One other player that could be on the outside looking in is defenseman Olli Maatta, who actually was a healthy scratch for three of their four playoff contests. While he’s only 24, he already has six NHL seasons under his belt and a manageable contract for someone that may be viewed by some around the league as a top-four defender at just under $4.1MM for three more years. However, the acquisitions of Jack Johnson in the summer, as well as Marcus Pettersson via trade from Anaheim earlier this season, have put him in a situation where he looks to be the odd man out. Meanwhile, Rossi notes that Pittsburgh’s top priority this summer is signing goaltender Matt Murray to a long-term contract extension which would put him on the extremely unlikely to be dealt list as well. The 24-year-old has one year left on his current contract which means he isn’t eligible to actually sign an extension until July 1st. While Murray was inconsistent this season, he’s still in line to garner a sizable raise on his current $3.75MM AAV as the price for a starting goaltender has gone up considerably in recent years. It’s certainly possible that GM Jim Rutherford’s impetus for wanting to get a Murray deal done quickly is to have a better understanding of how much salary will eventually have to be cleared off the roster. The Penguins have been a team right up against the Upper Limit and with at least $59.7MM in commitments for each of the next three seasons on the book already, they project to be so for the foreseeable future as well. Between that and an early postseason exit, change certainly appears to be on the horizon in Pittsburgh.